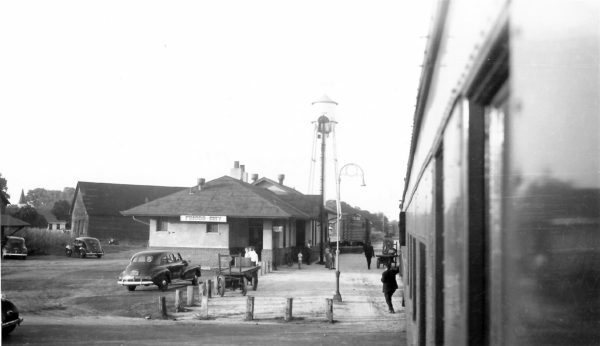 Frisco City, Alabama Depot from Train #207 en route to Pensacola on May 20, 1949 (Arthur B. Johnson). 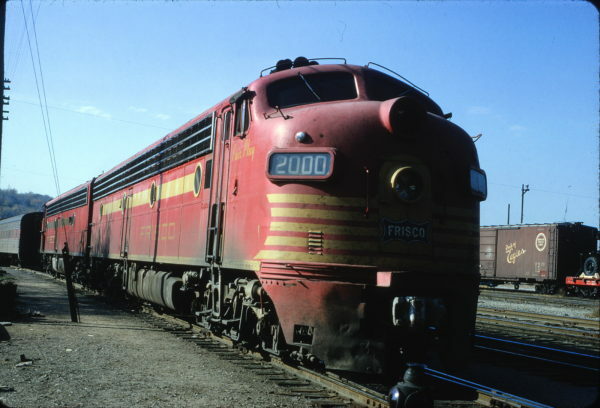 E7A 2000 (Fair Play) at Kansas City, Missouri on October 23, 1964 (James Clapman). 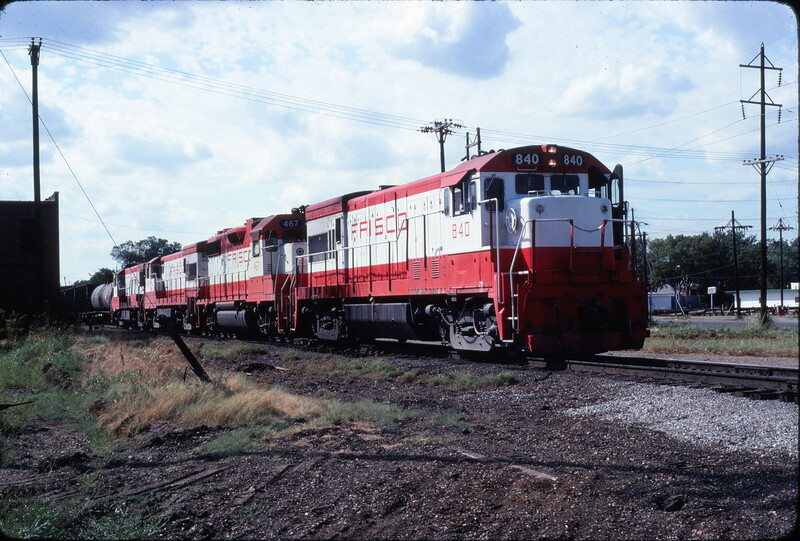 U25B 819 at Tulsa, Oklahoma on June 21, 1980 (James Holder). 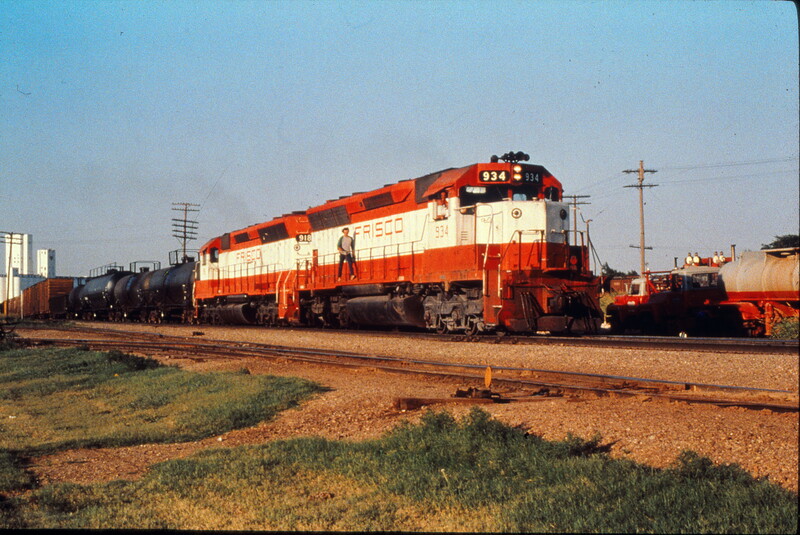 SD45s 934 and 918 at Enid, Oklahoma in July 1980 (Trackside Slides). U30B 842 and SD45 925 at Memphis, Tennessee on August 19, 1977 (2:30 PM). 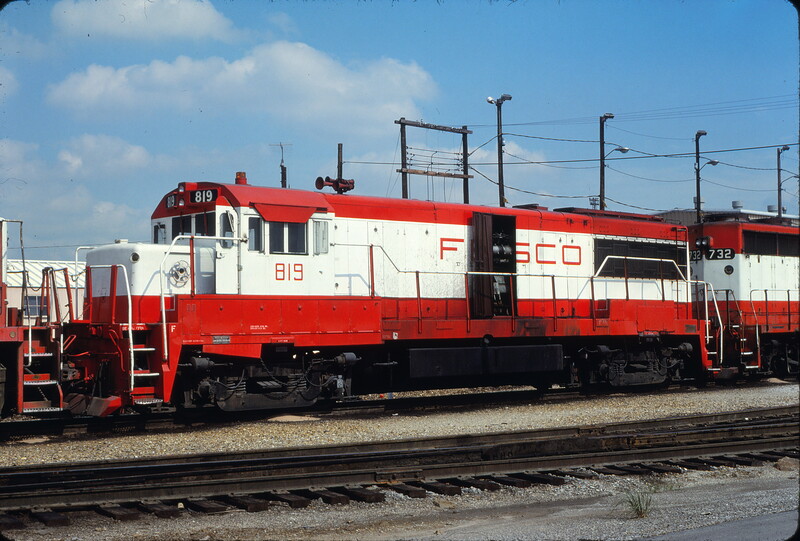 GP50 3100 at Cicero, Illinois in December 1980 (Steve Smedley). 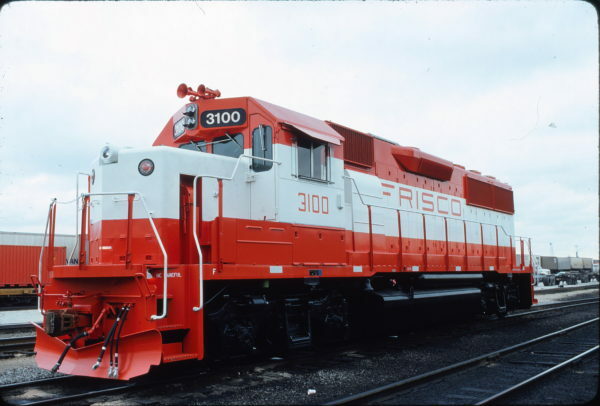 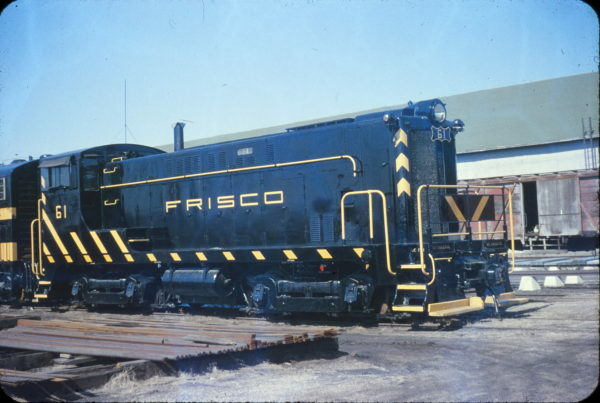 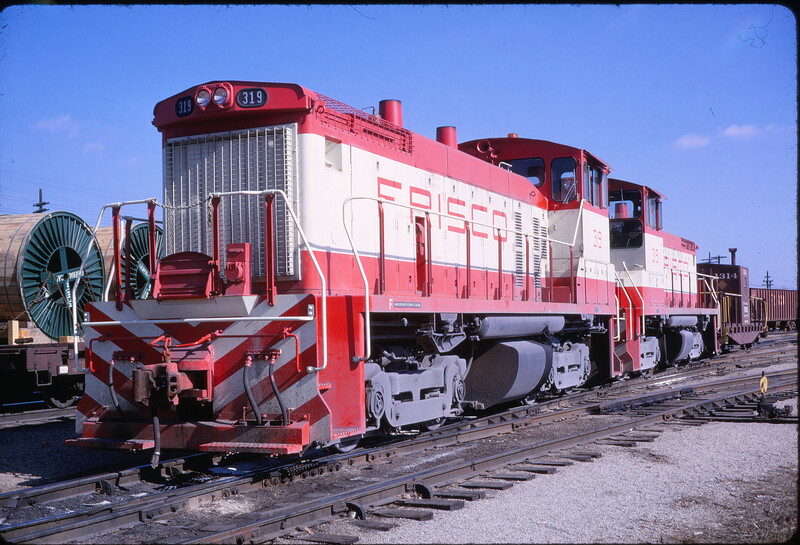 The Frisco ordered nine GP50s. 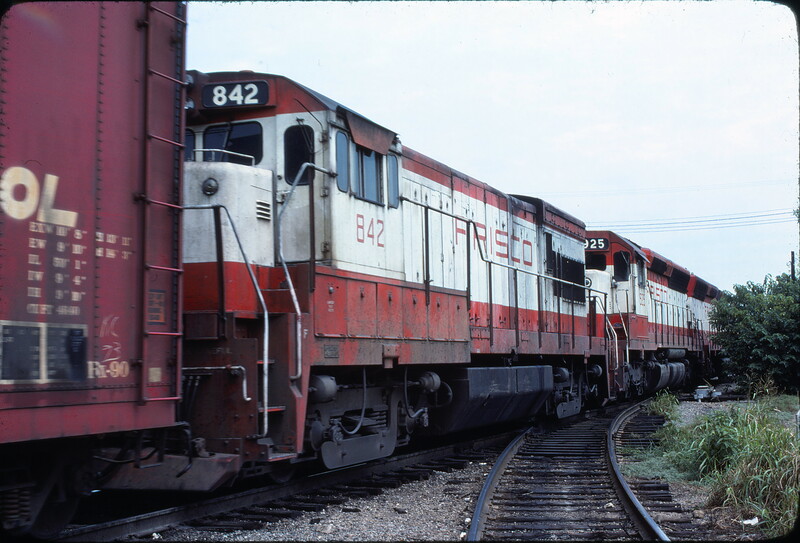 All went to service with BN and were delivered shortly after the merger. #3100 (SLSF #791) was delivered in Orange and White, but with the BN numbers in Orange with no BN lettering. The rest 3101-3109 (SLSF #790 and #792-799) were delivered in BN paint. 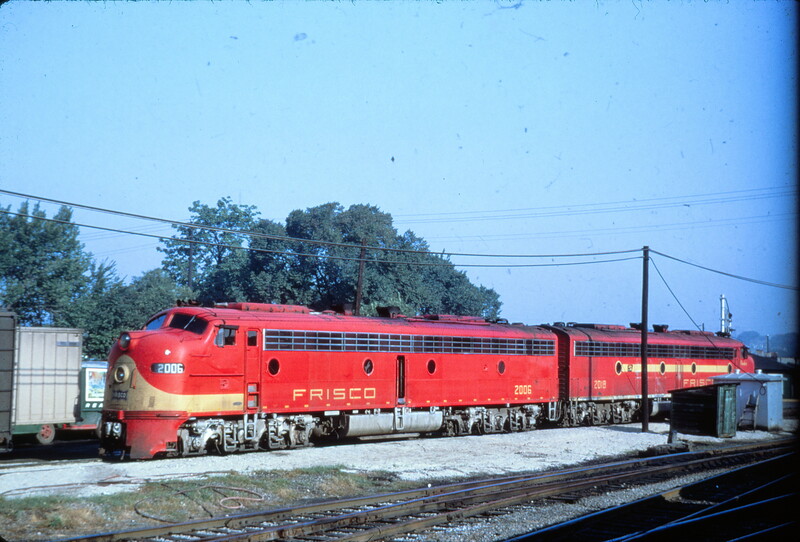 E8As 2006 (Formerly Traveller) and 2018 (Ponder) at Fort Smith, Arkansas on August 3, 1967. SW1500s 319 and 315 at Memphis, Tennessee on February 12, 1969 (William White).